Our Stage 3+ kit is setup around the best upgrades to make power on the M52 engine: cold-air intake kit, M50 manifold, M3-spec cams, and performance software. Adding the M50 manifold produces huge power gains in the upper RPM. If you spend the majority of your time over 5000 RPM, you're going to love this kit. The parts in Stage 3+ are our most-popular performance upgrades for the E36 328i: intake, cams, software, complemented by the M50 manifold. Stage 3+ shifts the focus entirely to the top end of the RPM. With the change in the manifold there is not much of a mid-range torque increase. The Conforti software keeps any torque loss to a minimum. The aFe intake is made with heat-blocking materials, reducing underhood temperatures and not contributing to heat soak of the air filter. aFe uses an oiled cotton air filter for maximum air flow and excellent filtration. 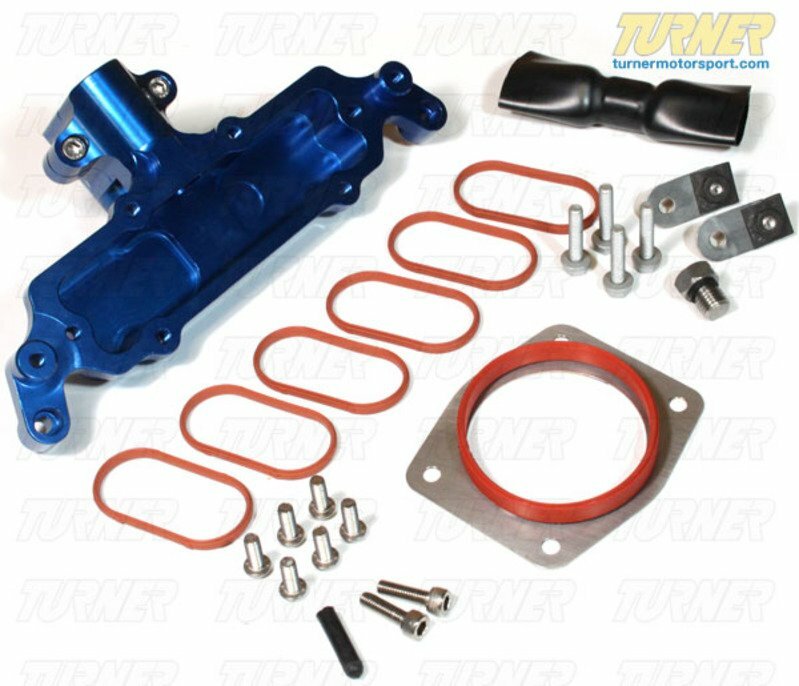 The kit is supplied complete with heat shield, carbon fiber intake tube, sealing materials, hardware, and install instructions. We also recommend upgrading the cat-back muffler for slightly more performance, lighter weight, and a more-aggressive sound. Our favorite E36 mufflers are the Supersprint, Borla, or Corsa exhausts. The Supersprint is the quietest and most like stock while the Corsa is the most aggressive (Borla being in the middle). You can expect a gain of 5whp with any of these exhausts. TMS can supply all of these parts for you or you can source your own. Contact us before or after your order about the availability and cost of these parts.